Girl Scout Cookies has won Cannabis Cup awards for its outstanding flavor, smokability and long-lasting mind and body high. 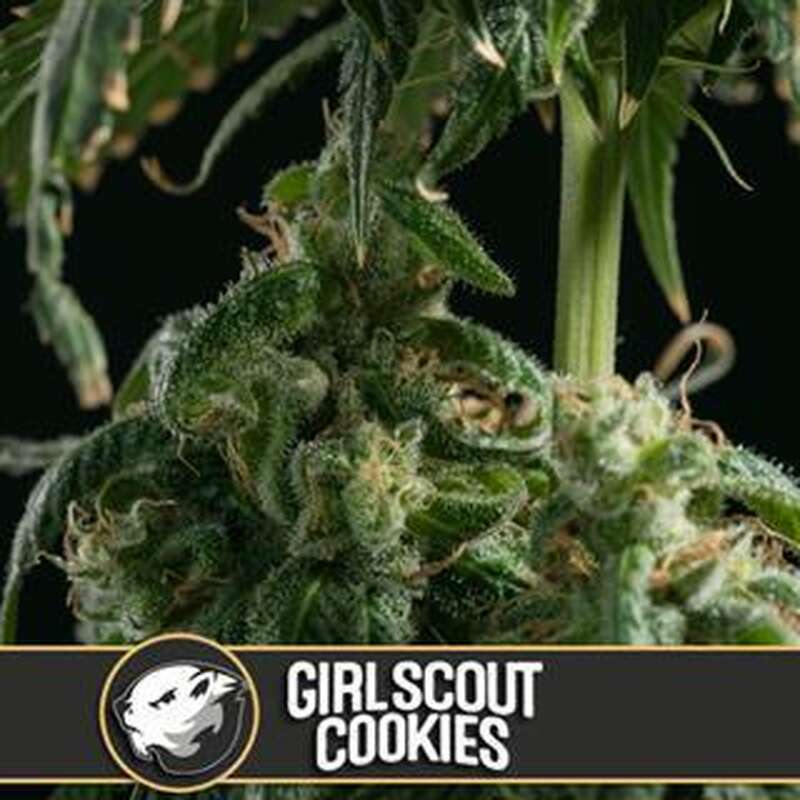 One of the most popular strains originating in California, Girl Scout Cookies has won numerous Cannabis Cup awards for its outstanding flavor, smokability and long-lasting mind and body high. Seeds grow into Thin Mint and Platinum Cookies phenotypes: one giving a high typical of sativas and the other typical of indicas. The bouquet is sweet and earthy and the flavor rich, minty and reminiscent of those cookies we all know and love. Bright green, purple and hairy orange buds are ready to harvest after 9 to 10 weeks of flowering.